Clients are 'calling out' for 'new model' agencies. Goodstuff has invested in two media agency start-ups, Love Sugar Science in Manchester and Sixteenbynine in London, as part of its £1m Startstuff growth drive. Andrew Stephens and Ben Hayes, who co-founded Goodstuff in 2004, said they wanted to help a new generation of agency start-ups at a time when clients are "calling out" for change, but it can be costly to launch a new media business. 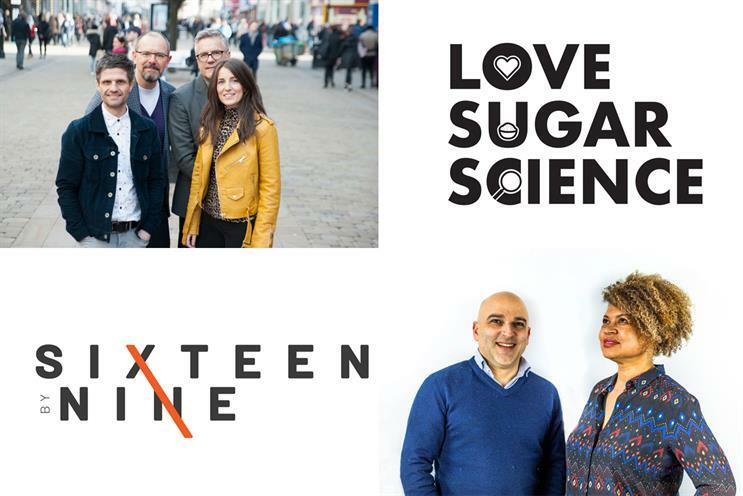 Love Sugar Science’s four co-founders have a mix of agency and media owner experience and describe their business as "a better sort of media and communications agency" that reunites the two disciplines and puts creativity "at the heart" of media. They believe there is a gap in the market in Manchester where two big holding companies, WPP’s Group M and Denstu Aegis Network, and a large number of digital performance agencies dominate. Sixteenbynine’s two co-founders come from broadcasters and have set up a specialist TV and video agency that will offer an "end-to-end total TV service" for clients. Goodstuff said it saw potential for the TV-focused start-up because a lot of its own clients are ecommerce businesses that handle digital media-buying in-house but want to use TV to build their brand. Stephens and Hayes announced their plan to invest up to £1m worth of finance and support in two start-ups last year in an initiative that they called Startstuff. They received 34 submissions from a wide range of individuals and groups, including some senior figures at other agencies, before picking Love Sugar Science and Sixteenbynine. Goodstuff has taken undisclosed minority stakes in return for providing support for two years — roughly a quarter in cash and the remainder in services including media-buying and back office functions. "We did this in response time to the systemic change in the media industry right now, which has clients calling out for new model agencies," Stephens and Hayes said. "However, it’s never been harder to start a media agency due to the financial, technological and talent requirements." Goodstuff is one of the UK’s largest independent media agencies behind the7stars, which launched Bountiful Cow as a start-up in 2016. The founders are (from left above) Simon Price, Steven Gregory, Nik Wheatley and Jessica Scott. Scott and Wheatley have worked together previously at Dentsu Aegis Network and ITV. She was creative director and he was head of Dentsu Aegis Network’s content arm The Story Lab North, which they launched in 2017. Price has been deputy managing director of Group M’s Wavemaker North and Gregory has run a media consultancy, Central Focus. 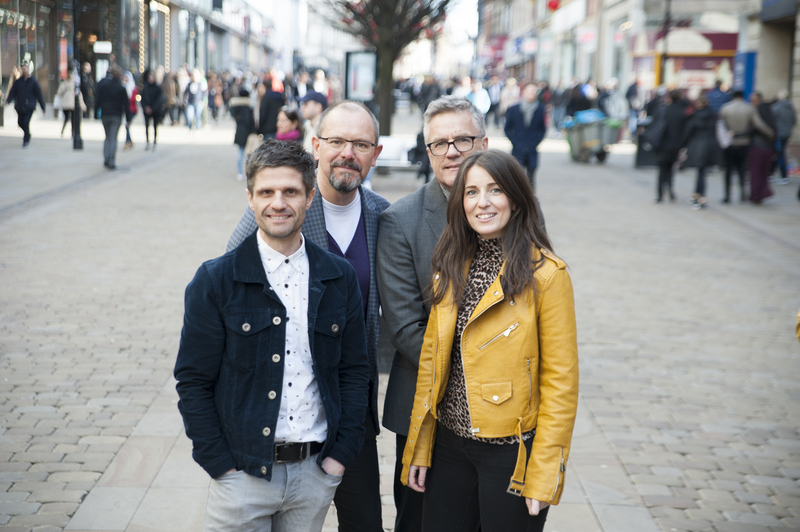 The quartet say they want to build an agency that is built on "accountable creativity" by developing ideas that make an impact on "popular culture" and they maintain there is a gap in the Manchester market because "in a sea of performance specialists we are the lone creative offering". 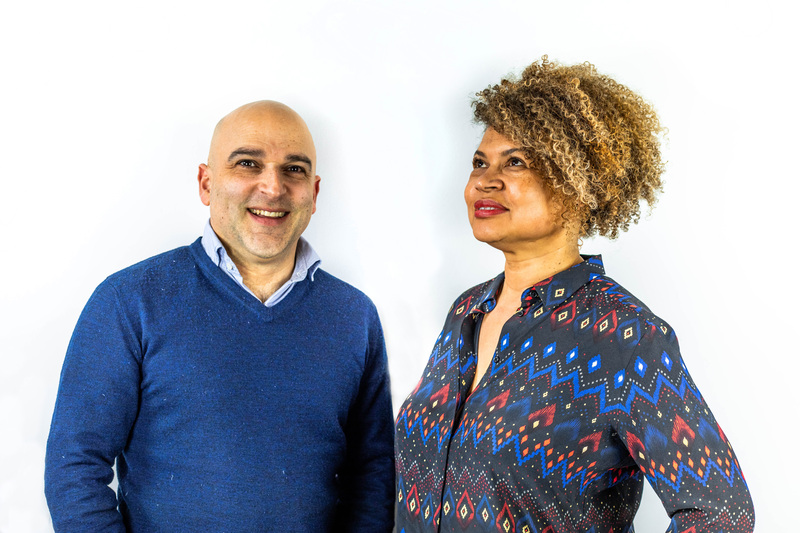 The co-founders say that "at the heart we are an evolved comms planning shop, giving clients a better way to achieve great business results" and "through our relationship with Goodstuff we also offer all the capabilities of a quality media agency". Love Sugar Science believes there is a significant opportunity given Manchester agencies manage close to £1bn in media billings and the North West has become a magnet for fast-fashion and ecommerce brands in recent years. The agency took inspiration for its name from its belief in people, creativity and effectiveness. Goodstuff has described Love Sugar Science as its "northern supergroup". The co-founders, Elizabeth Anyaegbuna and Dan Salem, have worked across commercial broadcasting but never in agencies. Anyaegbuna’s career includes stints at Viacom, Sky Media, Turner and A+E Networks. Salem has worked at Viacom and Turner. They say TV remains "the most powerful and profitable advertising medium" but they have identified a "need for more contextual media planning and trading transparency in media agencies". Anyaegbuna and Salem bring experience from TV production through to channel distribution, not just advertising sales. The duo add they are "passionate about the need for a more diverse and inclusive representation among UK agencies particularly for women and ethnic minorities" and want to build an agency that is "representative of the world we live in today". Sixteenbynine takes its name from the 16x9 aspect ratio of a traditional TV screen.